Could make around 100M from sales easily by selling Jorginho and Hamsik alone. It’s expected that Carlo Ancelotti will be announced as Napoli Coach on June 1, once Maurizio Sarri’s situation is resolved. The former Milan boss has agreed to take over at the San Paolo, having been sacked by Bayern Munich earlier this season. According to the Gazzetta dello Sport, Ancelotti has now signed a two-year contract with an option for a third, worth around €6.5m per season. His staff will be his son Davide, son-in-law Mino Fulco, fitness coach Giovanni Mauri and his son Francesco. The contract will start on June 1, and there will be no official announcement until then, because Sarri has an €8m release clause which is valid until the end of this month. 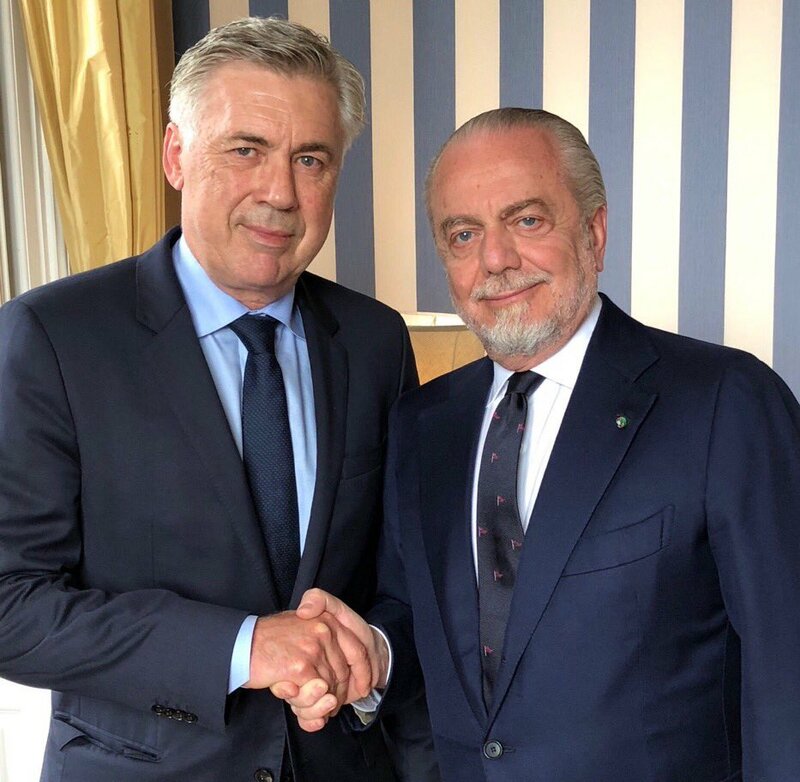 President Aurelio De Laurentiis plans to use that money to pay Carletto and his staff for the first season, having actually signed a pre-agreement with Ancelotti around three weeks ago. Sarri will therefore not be sacked, though the club has a clause which would allow that for a fee of €500,000 before June. The current Coach is wanted by Zenit St Petersburg, while Chelsea have also been linked. I swear to you, at first, I thought the part in bold was just a joke. Then I took the liberty to check it for myself and to my surprise, it was all true. The guy is hiring his entire family and he's not even ashamed of it. I also remember he did something similar at Madrid; he hired his son-in-law as a nutritionist. That behavior didn't sit well with me back then, but now it looks like he's bringing it to a whole new level. Zidane must have picked his nepotism from him because he's already flooded the academy with his sons. It's one of the things I truly hate about him. Where would u want them to play u nuts ? They are his friking kids and live in his home, u want to send them to Getafe's academy or abroad ? You could throw them into the wild for 50 years and they would still remain talentless. Apparently, the only thing Zidane passed down to them is his last name. misguided as usual. He probably just wants to live in Italy again. Ancelotti is one of the greatest managers of all time. Like players, they decline as well. Napoli is a great fit for him. It has no bearing on his past achievements. And so begins Napoli's decline. I agree that he's a more high profile appointment than expected, but that still doesn't change the fact that Napoli isn't going to improve. Of course that is unless ADL made a promise that there would be a squad overhaul this summer, which I doubt. End of the day, I don't see Carlo challenging Juve in the league like Sarri did. He's going to ruin Sarri's work and have Napoli play worse football (like he did at Bayern). Napoli doesn't have the squad to challenge for the CL either. 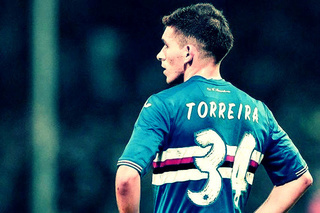 Maybe he'll win them a Coppa Italia. They should've went all out for Conte, if they really wanted to win push for the title. Again I invented nothing . Where he says that if he will come back in Italy it will be only for Milan or Roma . And his desire is to coach again in Premier. You can read it though. nothing of invented. wonder if Napoli will even finish top 4? Simone Rovera was saying on RMC that some of the names he talked about with DeLau are Benzema, and Vidal... he wants to use his previous clubs to feed his napoli. No chance Milan knock Napoli off top 4 next season. Not only do the squad have such a difference in quality, we are talking of Carlo vs Gattuso. I appreciate the articles, kept me busy at work. Money changes everything tho. The fact that he was able to appoint his whole family is probably a sweet bonus too. Napoli have begun genuine negotiations to bring Edinson Cavani back from Paris Saint-Germain, claim reports in Italy. The reunion has long been rumoured, fuelled by statements from the ‘Matador’ and his entourage, as well as President Aurelio De Laurentiis. According to reporter Carlo Alvino, who was the first to reveal Carlo Ancelotti was in talks to take over from Maurizio Sarri, the first step has now been taken to work out a deal. Cavani is under contract with PSG until June 2020 and his difficulties co-existing with Neymar could prompt a departure sooner rather than later. 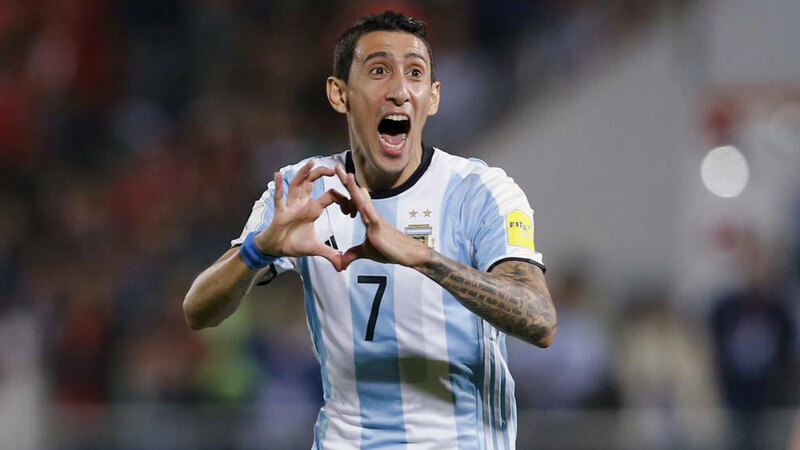 Crucially, the first impressions were positive and the 31-year-old Uruguay international is even prepared to cut his wages in order to help the move go through. His children still live in Naples and he retains very good memories of the club, where he played from 2010 to 2013, scoring 104 goals in 138 games. Cavani embraced many old friends at Parc des Princes when the teams met for their Champions League group phase tie, a 2-2 draw, and will be given a great reception at the Stadio San Paolo on November 6. 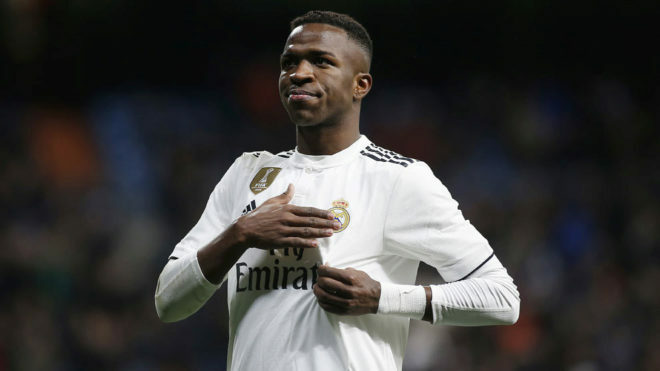 If it's true then Madrid should not hesitate to swoop in for him. He has a very high work rate, he scores a decent amount of goals and can actually create for himself, not to mention that he's miles better than the guy we have right now. Wonder how much they'd ask for him. You really can't be picky when you have a CF like ours. At least, Cavani does his job to a certain and acceptable extent. And the sensible thing to do for Madrid right now would be to at least start upgrading the positions that have plummeted to amateurish levels. But, in my opinion, you need to rejuvante your team. A lot of your key players are ageing and bringing in more ageing players is a short-sighted vision and not the solution. Mbappe or Salah is where it's at. Possibly Hazard.